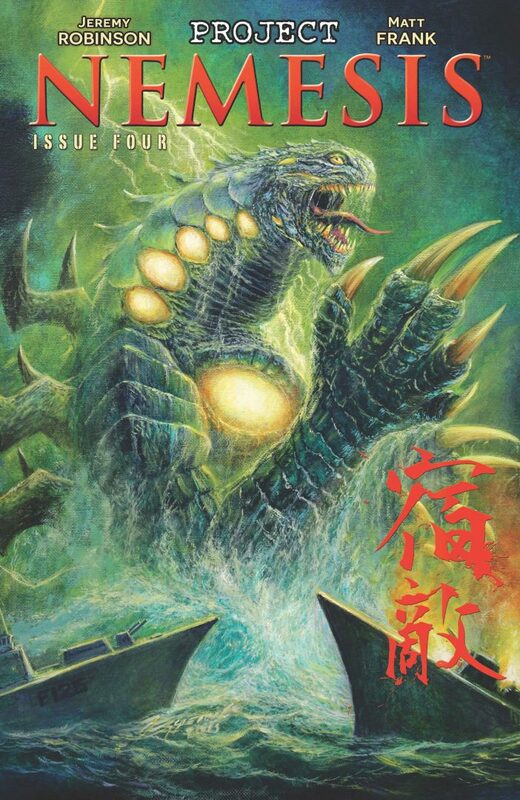 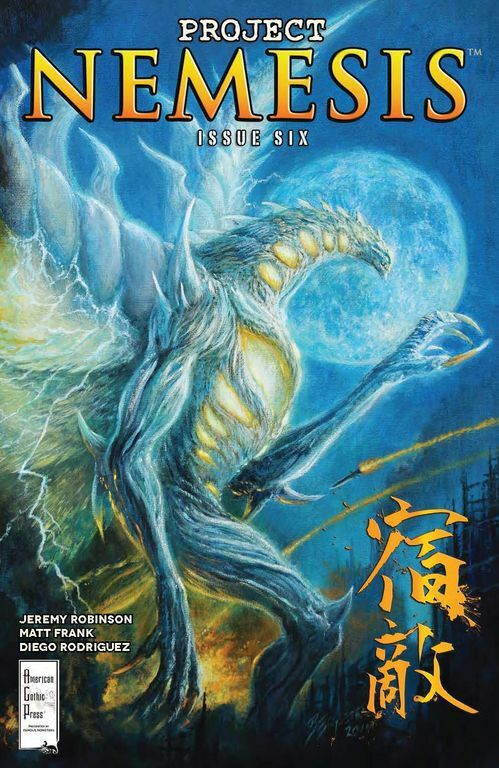 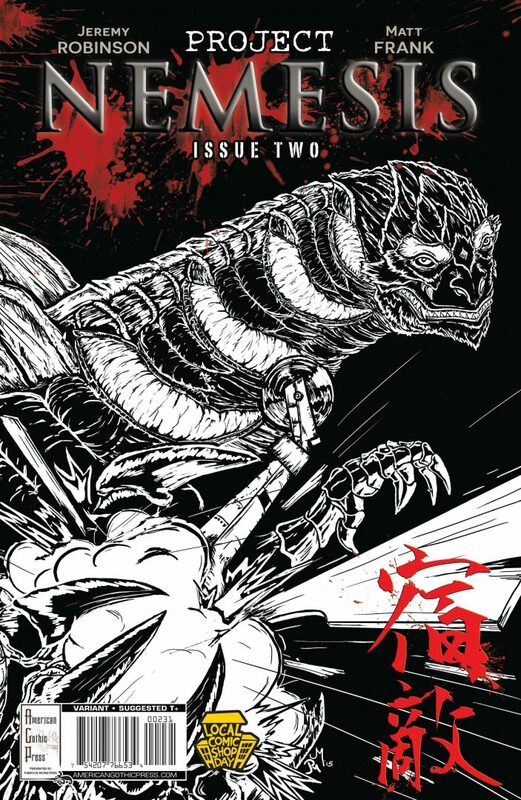 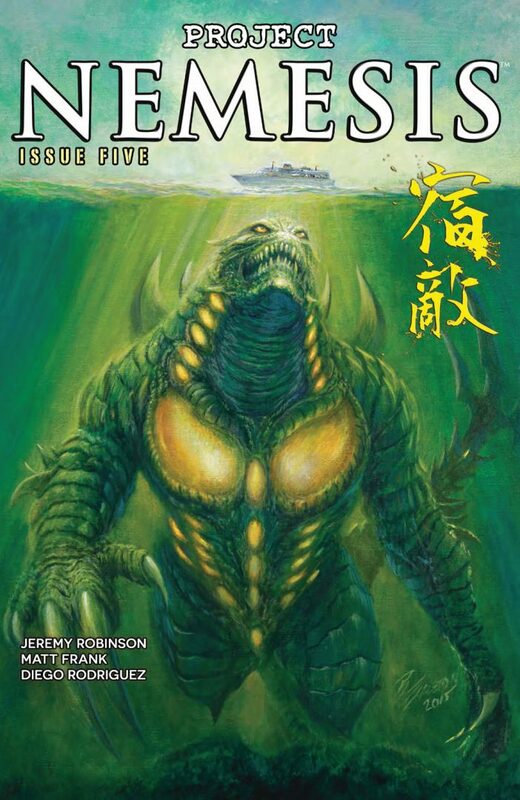 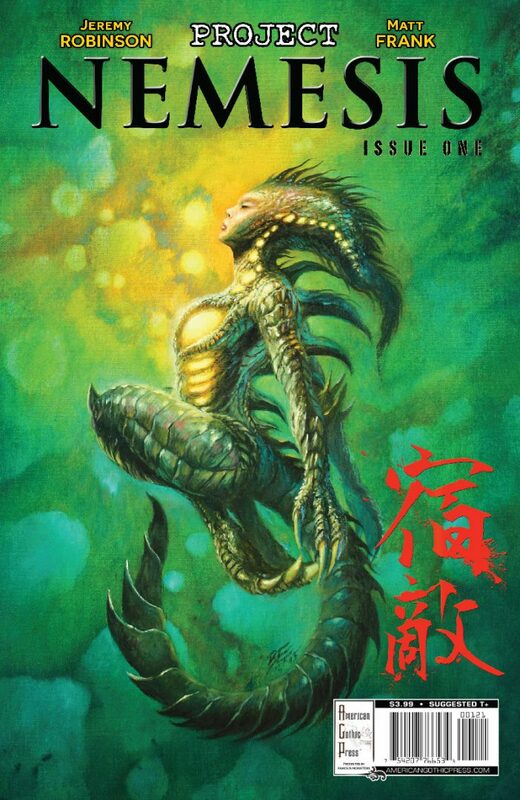 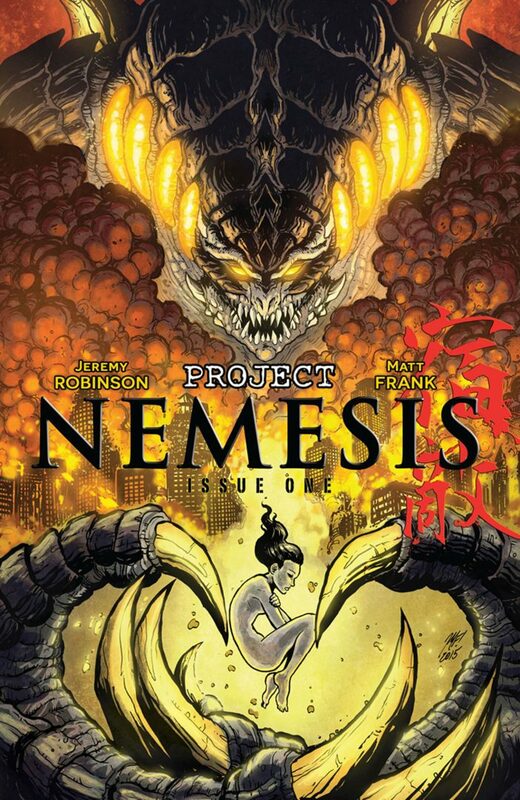 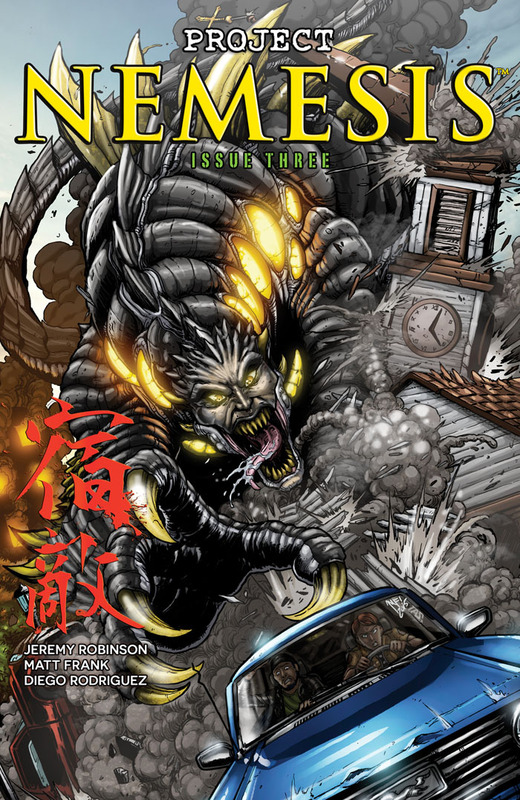 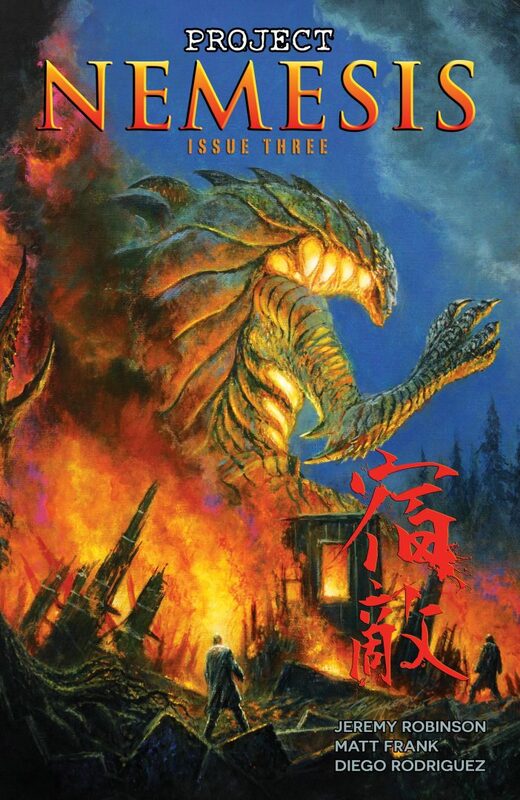 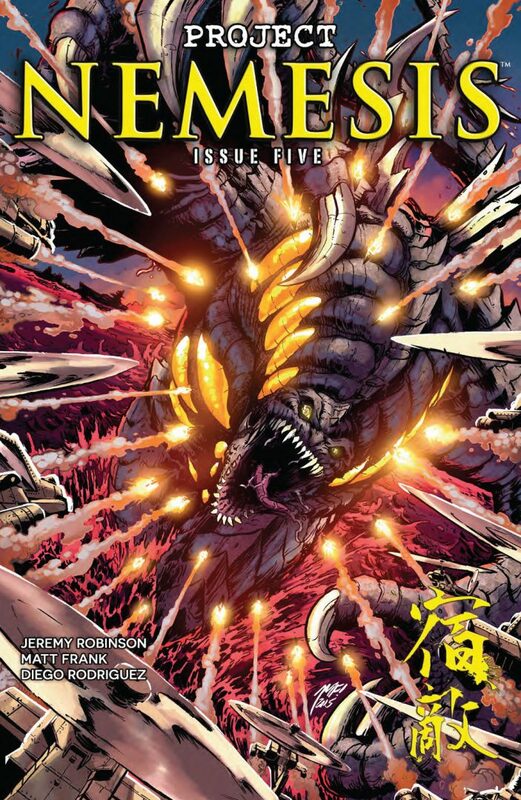 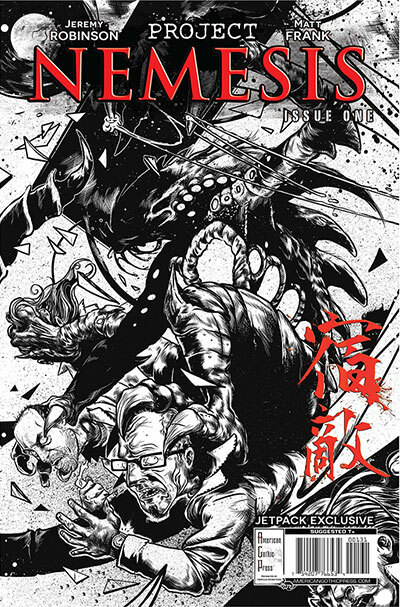 In the world of PROJECT NEMESIS, Japanese kaiju are discovered when a government experiment goes awry and gives rise to a hybrid creature — called “Nemesis” after the Goddess of Vengeance. 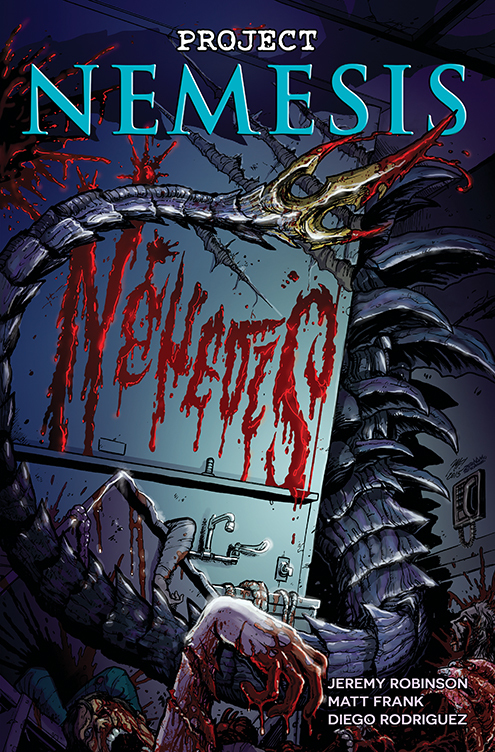 On a mission that began as a Bigfoot investigation, Jon Hudson of the FC-P, who considers his “paranormal investigator” position a joke; and Sheriff Ashley Collins, resident of small town Maine and well-versed in sasquatch tales and bear attacks; discover a secret military site that has been torn to shreds by something very large and lethal — clearly not a bear, or anything related to nature. 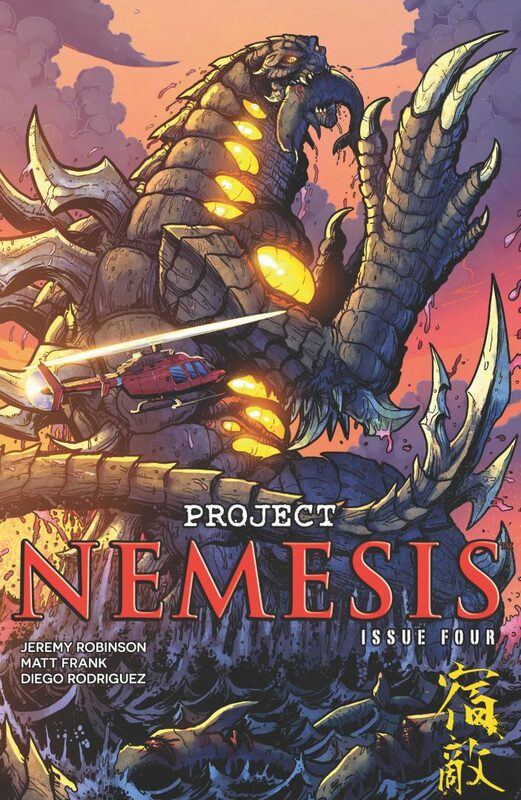 A giant creature appears that is unlike anything they’ve ever encountered, and they barely escape with their lives. 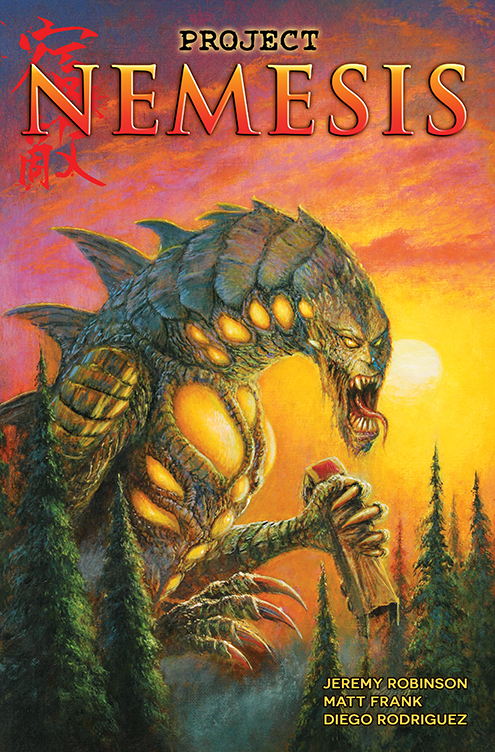 Bent on destruction, the kaiju eventually emerges from the forests of New England and grows to immeasurable heights, bringing down villages, then towns, and then cities. 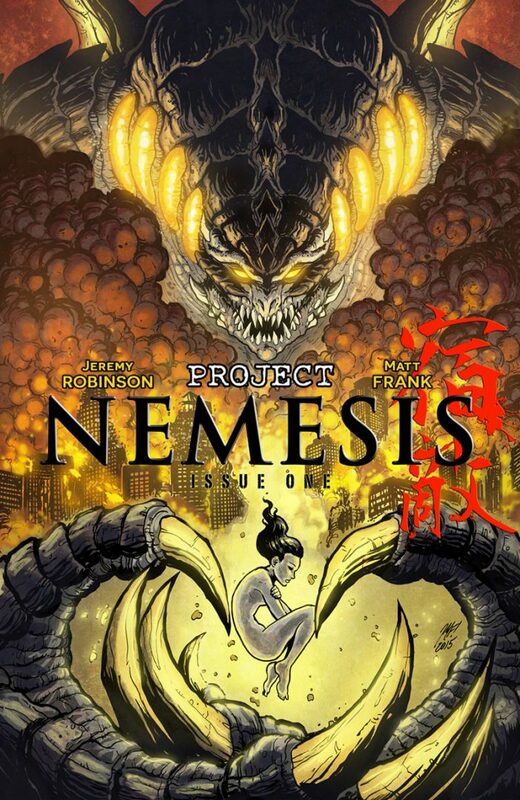 When Hudson and his crew investigate, they discover that the monster’s origins hold inexplicable ties to a murdered Japanese girl named Maigo. 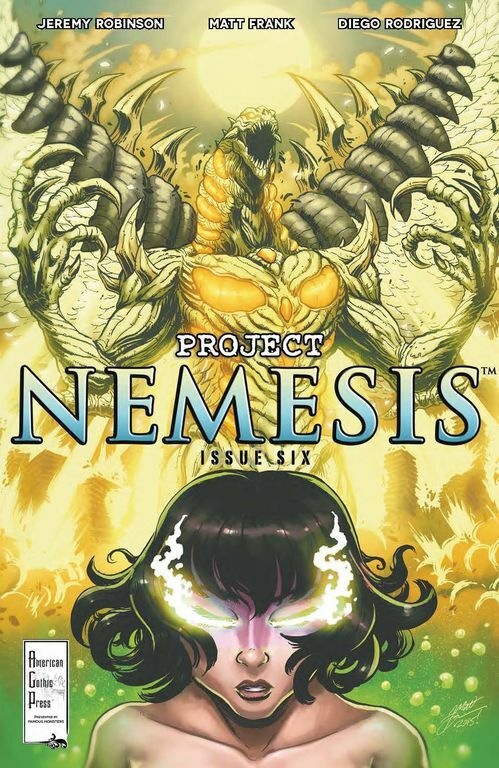 Suddenly the “paranormal” portion of the FC-P doesn’t seem like joke anymore — and Nemesis is about 80 times more threatening than Bigfoot!